Alice teething rattle made by Lilliputiens, item number 83035. 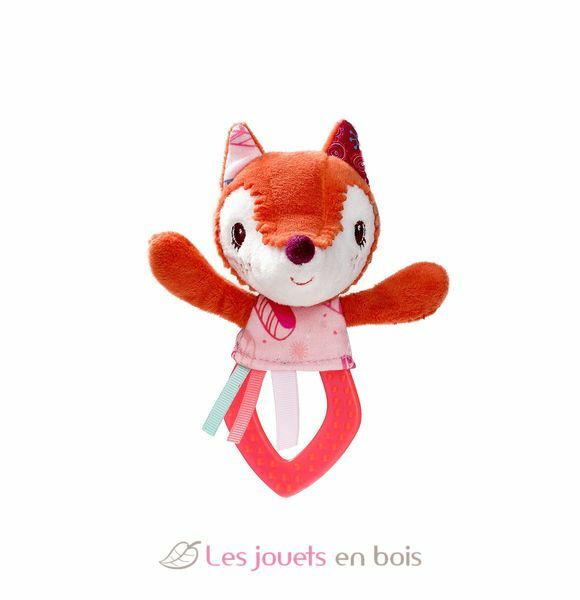 This soft and comforting teething rattle features Alice the fox. Adding an extra layer of sensory stimulation, the rattle makes subtle 'bell' and 'paper' sounds.